Provide comfort for the family of Chester Drown with a meaningful gesture of sympathy. 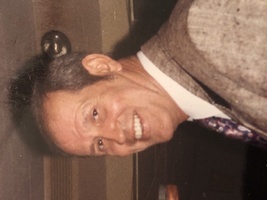 Chester (Chet) Roy Drown, 78, of Plymouth Ma, formally of Pembroke Ma, died peacefully at the Life Care Center in Plymouth, on Tuesday, April 9, 2019, surrounded by his family. Chet was a devoted husband of 56 years to Margaret (Peggy) Drown (McCarthy). Chet was raised in Dorchester by Albert and Josephine (Gregory) Drown and was pre-deceased by his brothers Albert, Russell and Earl, who was killed in action in WWII. Chet served actively as A Marine from 1958-1962 and was a decorated officer in the Boston Police Department from 1967 to 1991. Chet and Peggy lived in Pembroke for more than 40 years, where they raised their three children. Chet was actively involved in Pembroke town politics, for years. He worked on the Herring Run project and worked hard on improving the town Recycling Center. His passions were fishing and boating and he loved being surrounded by his family. Chet is survived by his loving wife Peggy, his son Christopher and his wife Christine (Hill) Drown, his daughter Susan and her husband Patrick Hannon and his daughter Judith and her husband Joseph Goldberg. 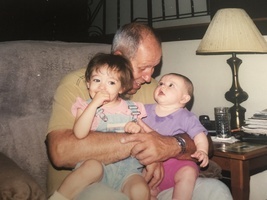 He is also survived by 8 grandchildren, Robert, Ashley, Brian, Kayla, Alyssa, Kara, Amanda and Victoria and 4 Great Grandchildren, Sophia, Madison, Magnolia and Lilly who is due to arrive any day now. I worked for Chet in the ID unit and he was a great guy. I remember him & his partner, Frank Doyle and I loved listening to some of their stories. May God bless Chet and bring some comfort to his family in the days ahead. Thank you Paul, for sharing. Dear Judy and family, so very sorry to hear of your Dad's passing. My thoughts and prayers are with you all at this most difficult time. R.I.P. Uncle, you will always be in my thoughts. 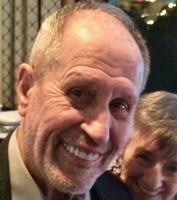 You where a wonderful family/s Man . And just like a second dad to my son , You will be well miss , I love your smile . R.E.P.